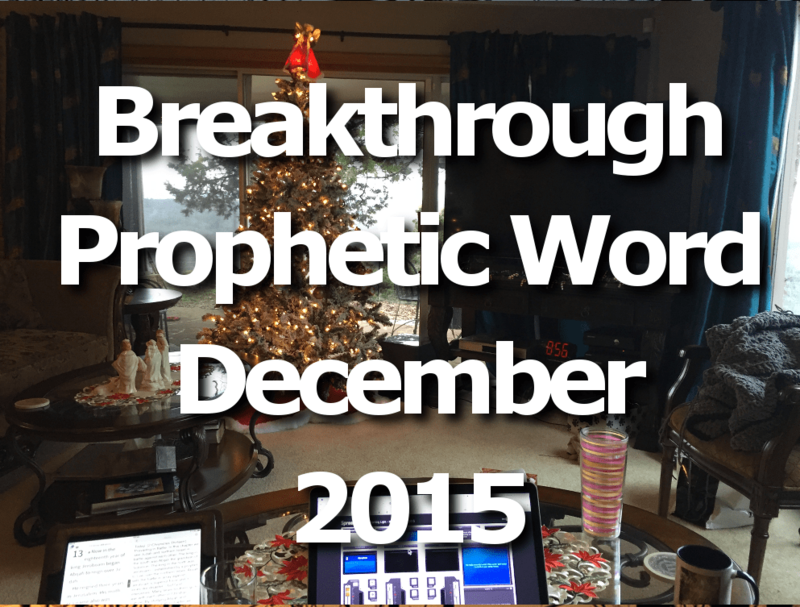 This is the Breakthrough Prophetic Word for December 2015 – 2 Chron. 20:20 says BELIEVE THE PROPHETS so shall you PROSPER. The breaker anointing is released through the prophetic word. TRANSCRIPTION: …The Father says I am bringing you to rest at the threshing floor. I am threshing the nations and threshing the peoples in this season says the Father – but I am bringing you to rest and bringing you to a place of safety and security in My kingdom. Fear not says the Father. Despair not for the events you see coming upon the earth for you are not of this world even as I am not of this world. You are not appointed to wrath – you are created for My glory and in My glory you will find your repose and your rejoicing. I declare over you that you are unstoppable. I cannot be stopped therefore you cannot be stopped. Mount up says the Father. Fulfill your created purpose. You are an instrument of worship and My sound is resonating out of you in the quiet place where all you know and all you can see is that I AM THAT I AM. Hear My Spirit beckoning. Hear My voice calling you to come up higher. Refuse to become entangled with the claustrophobic tents of the wicked. Come up here to the place that I have prepared for you – from this place you will be seated and you will rule and reign and know My goodness in the land of the living even in your life says the Father. I receive and praise God for this powerful massage. Thank you Russ and Kitty for encouraging my life. May God continue to bless you in all that you do! AaaaaaaaaaaaaaaaaaaaaaaaaaaaaaaaaaaaaaaaaaaaaaaaaaaaaaaaaaaaaaaaaaaaaaaameN Prophet Russ and Kitty I receive all in Jesus’ Name. I will see the goodness of the Lord in the land of the living, wow, this last sentence is my Rhema from this word of this month, I have been declaring it as is and going on to say; let God be true and every man a liar. I am so excited. It doth NOW appear, eye has not seen. It is my season and it is my hour, so shall it be unto me in good measure, pressed down, shaken together and running over in Jesus’s Name, amen. So blessed by message ! Amen! I receive it in Jesus name! Praise you wonderful Savior, precious redeemer and friend. Thank you I receive in gladness and praises.